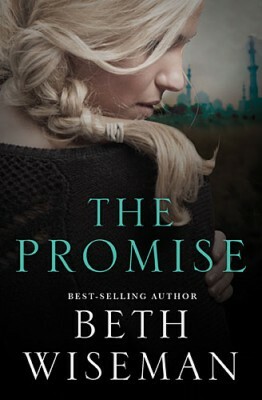 Beth Wiseman is the author of the book The Promise, which is based on a true story that she was involved in. The Promise is a book about a young woman who makes a commitment to a dying cousin, and feels obligated for over a decade. Before Kelsey dies, Mallory promises to give her kidney to save another person from Leukemia. As an adult this promise begins to take over her life and almost drive it. In a strange twist of events, Mallory finds herself in a position where she thinks she can help a girl suffering from Leukemia in Pakistan. The lengths Mallory goes to, to help, to fulfill her promise are heart wrenching. I live in a world that allows me to be a bit naive, since I had no idea that women were being drawn to Pakistan by men who just want a way to get into our country. In the Promise Mallory’s friend and boyfriend quickly come to her aid to get her out of Pakistan and back on US soil. But this story was only a brief version of the real story. This book also demonstrated the importance of knowing what you believe spiritually, because someone may try to manipulate what you believe. In the story Mallory does not know what she believes and she is easily influenced toward Islam, as a result. Finally, the story inspires the reader through the relationships that Mallory has here in the US as well as those she makes in Pakistan. Her willingness to help others is motivating for any of us. While commitments to others need to be balanced with reason, we could all stand to live a little more selflessly that we do, thinking of the needs of others more. I enjoyed this book, I felt that the truth of the story made it even more powerful, otherwise it almost seems too crazy. NOTE: I was offered a copy of The Promise in exchange for an honest review. Previous Book Review : 30 A.D.